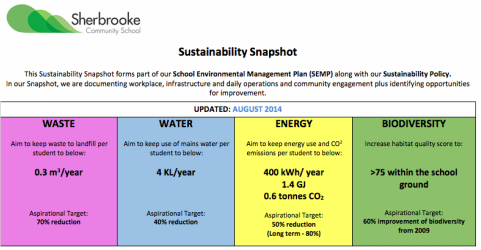 Sherbrooke has always had a strong focus on Sustainability across the curriculum. We are part of 'Resource Smart’, a Government programme run through CERES. See below for more information. A group of students, teachers and parents are helping to drive our school to being a 5-star sustainable school. Please see DD for more information on how you too can get involved in the Sustainability Committee. You can also visit the Sherbrooke Community School blog on the CERES Sustainability Hub website here. It has information on just some of the environmental and sustainability programs we run. Click here to see our real time energy generation. We are now well on our way to completing our core module for Sherbrooke Community School to become a Resource Smart 5-star Sustainable School. This program aims to embed sustainability into everything the school does. If you are interested in joining the Sustainability Committee, which is supporting this work, please let DD know or call Rose from School Council on 0407 819 961. Check out Sherbrooke's blog on the CERES Sustainability Hub website. We are registered with SWEP – Schools Water Efficiency Program. 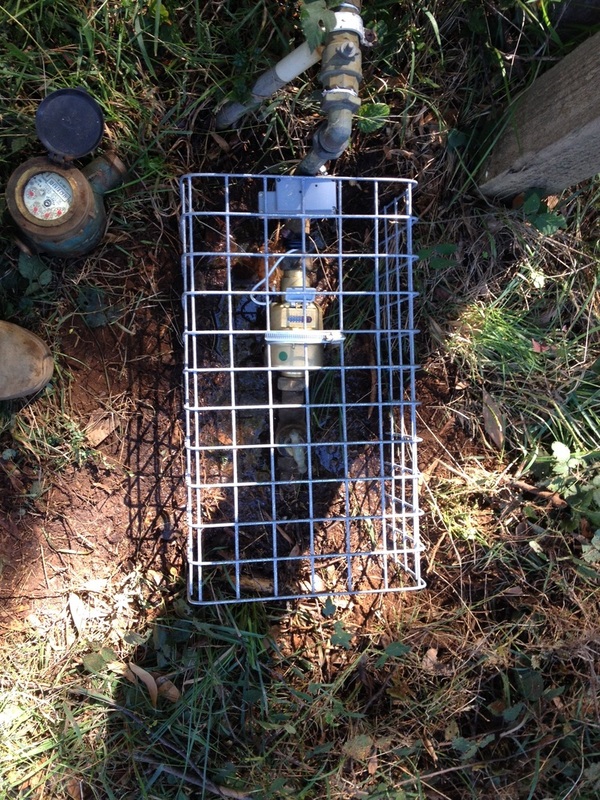 A datalogger was placed on the mains water meter in April. The program gives us access to 24/7 data on our water use. Any inconsistences can be immediately investigated and necessary actions taken..
We had 200 LED tube lights put in throughout the school using the Energy Efficiency Grant we received last year. Some of the security lights were also replaced. 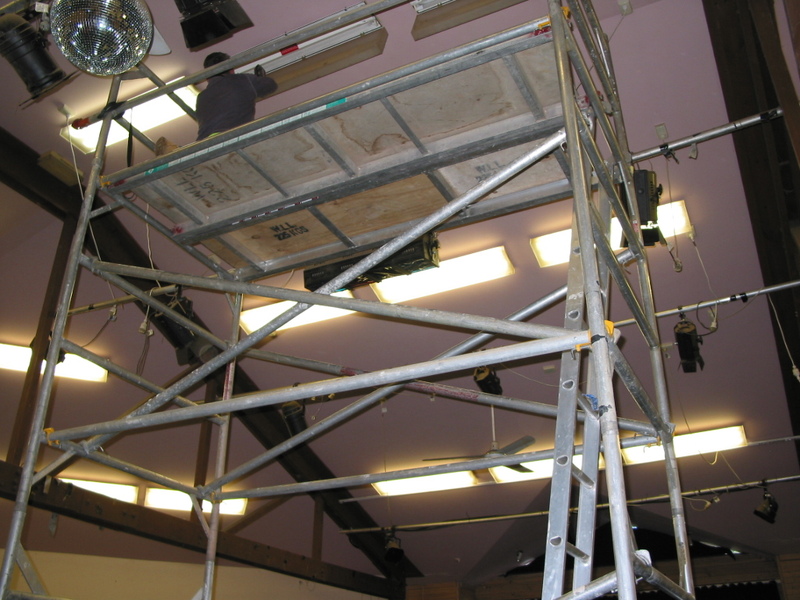 For example the large halogen light on the main building (500W) was replaced with a LED (150W) which is even brighter! Hopefully we will see the difference in our energy bills in the near future. We have a small amount of money left which will be spent on timers for hot water services, computers, photocopiers, and heaters. This Sustainability Snapshot forms part of our School Environmental Management Plan (SEMP) along with our Sustainability Policy. In our Snapshot, we are documenting workplace, infrastructure and daily operations and community engagement plus identifying opportunities for improvement. The fire track is being put in this weekend and then weeding and planting can commence. We are being helped by past students, Jordan Crook and Robert Pergl. It is great to see them back helping out.